The previous post on Skim Amanah Rakyat 1Malaysia (SARA 1Malaysia) was getting a lot of interest and many readers are asking for more details information, especially on how to subscribe. Where can you get an investment fund with a government guarantee of 32% annual return? Single mothers or fathers – individual gross income. Below are updates regarding the scheme. Scheme Features RM500 million funding is offered to 100,000 households. Allocation is based on first-come-first-served basis. Scheme allocation similar to Amanah Saham 1Malaysia (AS 1Malaysia), i.e. Bumiputera – 50%; Chinese – 30%; Indian – 15%; Others – 5%. The government guarantee that investors would get RM134 monthly. For those who are taking loan, they have to pay monthly repayment of RM84. The remaining RM50 is their profit. Do not have any investments in ASNB unit trust products OR if there is, household have a combined aggregate investment of less than RM10,000 in all ASNB products. How to Apply Obtain forms from participating banks ( Maybank, CIMB, RHB and BSN) starting from January 30, 2012. Loan Feature The loan is offered at a fixed amount of RM5,000 per household. for purchase of 5,000 Amanah Saham 1Malaysia (AS 1Malaysia)I units. A participant who misses three consecutive monthly payments will be disqualified from the Scheme programme. 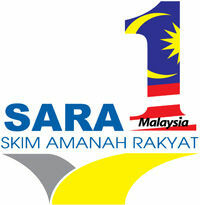 For more information kindly browse to Skim Amanah Rakyat 1Malaysia webpage. If no money still can borrow to invest? can guarantee return? sounds like a ponzi scheme to me, well if you trust BN then invest la, 32% annual return, warren buffet need to learn from malaysia already. 100,000 estimated eligble householders x RM5000 = RM500 000 000, I wonder where this amount will be syphoned. don’t worry lah… if eligible go ahead. Govt gaurantee mah.. There are still quite a number of seniors well above 58.Many are in their 70s and 80s, healthy, and earning less than rm5000 a month.If they have some savings and wish to invest in SARA1MALAYSIA why should they be deprived of this opportunity ?Surely many of them are going to be alive for another 5 years and even more.I suggest the age limit be extended to 80. The scheme aim to encourage the lower-income group to save and invest. That’s why the limit to household less than RM3k per month. You see, 32% per annum is very difficult to achieve, ASM1M only give 6+% per annum. So I think there is a lot of subsidies to achieve the objective as stated above. I think, that’s why they put the maximum investment & household income limit. When was the last time govt run pponzi scheme…? answer: Never, idiot! If my working contract ends in 30 june 2012 and my Current Salary is RM5,000. Can I invest in this scheme? a) can a single (unmarried) person take this scheme? b) Which one will generate higher returns in term of %…taking up the loan or using own money? c) can we invest less than 5k? alarm, that 500million is not syphon from anywhere, it is a loan facility. investor have to pay back. Faridah & Peer M, if based on the information that I write in the article above both of you are not eligible but not harm to confirm with banks. Peer M, the return is the same but if using cash, you get more!. From the early information invest less than 5k is possible but only through own saving. My humble opinion, if someone is earning less than RM3000 a month, their best investment is not in such a scheme but in their education – to learn new skills to earn more. Education is priceless, and best of all, when you learn something, you can earn from it over and over again. If you invest your money in tangible products however, the return is only once. Hence ROI is better in education. I am a government pensioner aged 76 years. My pension is about RM1650.00 per month. I am a widower with a part-time servant who takes care of me daily needs ( cooking my food; washing my clothes; and cleaning my house ) and I pay her RM500/- per month. I have some reserve funds from the gratuity which had I received and wish to participate in SARA1Malaysia scheme on cash terms so that I shall have more money to spend . Since I am willing to participate on cash terms, I feel that I should not be prevented because of my age (76 years). For the time being I am healthy and move about without any aid and enjoy my life. Please consider people in my category for participation in this scheme. Thanks. i hv high regards to ur blog due its valuable contents & info. however, some of the readers tried to emphasize their political beliefs in ur blog & those are rather racist in nature & full of hatred. In this 5 years the participant dies, is the any way tht the repayment money would be given or is there any alternative way to get the money. While i was reading thru, if participant dies the money would be forfeited. I dislike this clause.